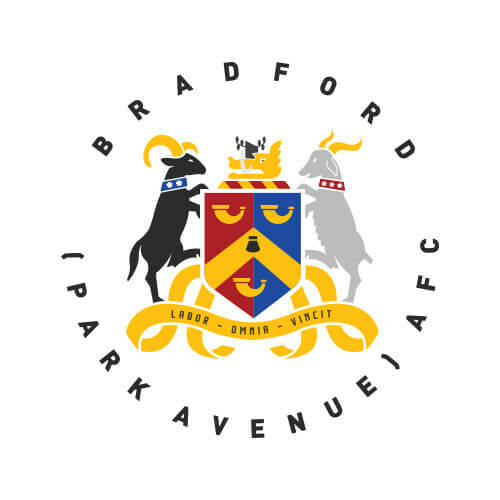 Following on from this weekend’s triumph over the (formerly) undefeated league leaders Chorley FC, Bradford face off against old foes Darlington FC on Tuesday at the Horsfall Stadium. Having first met in the FA Cup in February of 1911, Bradford and Darlington faced each other another 43 times during Avenues days in the football league. The two sides matched up as equals over that time, with 18 wins apiece and 8 draws. Recent history however has been somewhat more one sided, with Darlington winning 4 of the last 5 games. With Avenue notching the most recent victory over Darlington in this year’s FA Cup, the Quakers are sure to be out for revenge. But with current league standings, will Bowers men leave them quaking in their boots? Local artist Paul Town speaks of his memories of the Park Avenue football ground whilst growing up in the 80’s. The mythical nature of the ground during those days leading to Paul dubbing the ground his own personal Narnia. Defender and Horsfall College of Sport coach Danny East is the subject of this programme’s player profile. Horsfall Academy player Joe Ockerby is also in the spotlight in the Academy Catch Up, discussing his recovery after a severe injury resulted in an early introduction to the club’s medical department. Former Avenue center back Simon Ainge converted into an attacker during the 2016/17 season, while playing for Harrogate Town. After leaving Sunderland’s academy in 2013, Jonny was third choice at Leicester City when they shocked the nation by winning the Premiership in 2016. The club will be continuing the special drinks offer from Saturday for season ticket holders of any club (including rugby clubs) and members of our mailing list.